Note: tip to your driver/guide when touring is not included. Leaving Edinburgh today we travel North West through the Lowlands of Scotland as you pass both Doune and Stirling Castles. 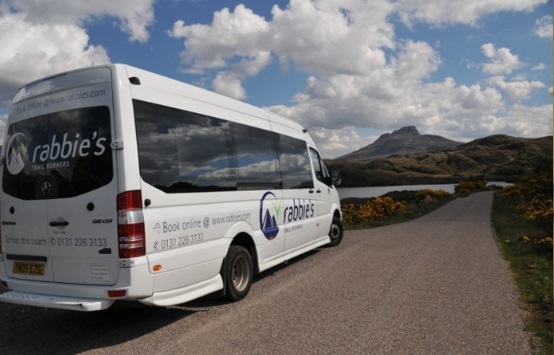 Following rivers, lochs, and forests you will find yourselves in the Highlands where we cross the wild and remote Rannoch Moor and onwards to the majestic and atmospheric Glencoe. We then drive along the shore of Loch Linnhe before reaching our base for the night in Fort William. Today we take a breath-taking drive from Fort William passing the famous Glenfinnan Viaduct as you head to Mallaig, a busy little harbour on Scotland’s west coast. From here we take the ferry onto the southern area of the Isle of Skye. 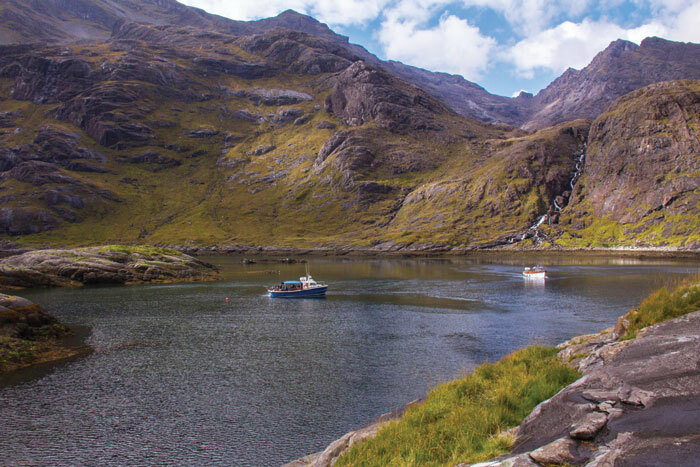 Arriving in Armadale, we’ll drive through the Sleat Peninsula before spending time in Glenbrittle with its famed waterfall or Elgol for it’s seascapes and views of the Cuillin and Talisker with its beautiful Bay. From here we drive to our overnight base in Lochalsh and Skye area for the next two nights. 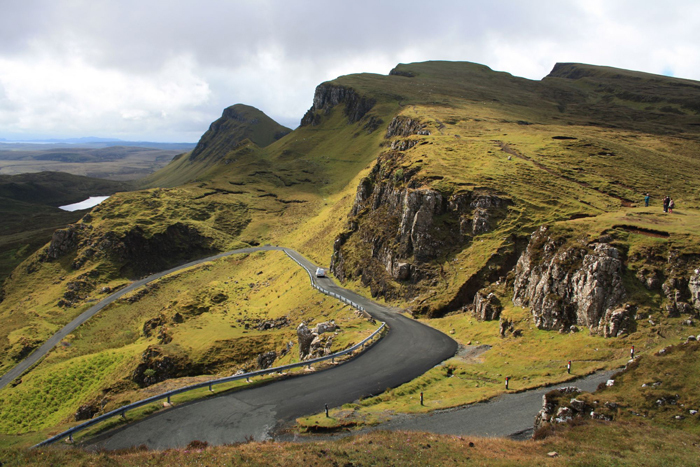 Today is your opportunity to see at close hand some of the wonders of Skye. Your guide will choose the best itinerary to suit the weather and local conditions to give you a chance to get off the beaten track and slowly discover the best spots for photo opportunities or where to spot some whales or basking sharks. In the late afternoon you return to our overnight base for the evening. Today we travel south through Glen Shiel and past magnificent Loch Cluanie as we head east for a view of Britain’s highest mountain Ben Nevis. 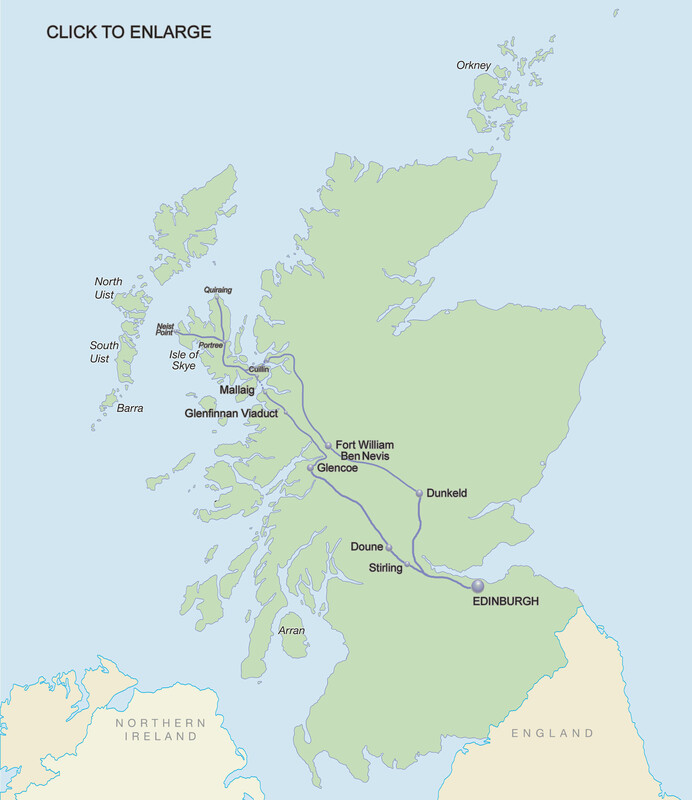 Continuing south, the route passes through the Monadhliath Mountains and into the Central Highlands where we make a stop in the historic village of Dunkeld, where you can visit the ruins of the old cathedral. Travelling south from here we return to the Lowlands and back into Edinburgh with views over the Forth estuary and the world famous Forth Rail Bridge. 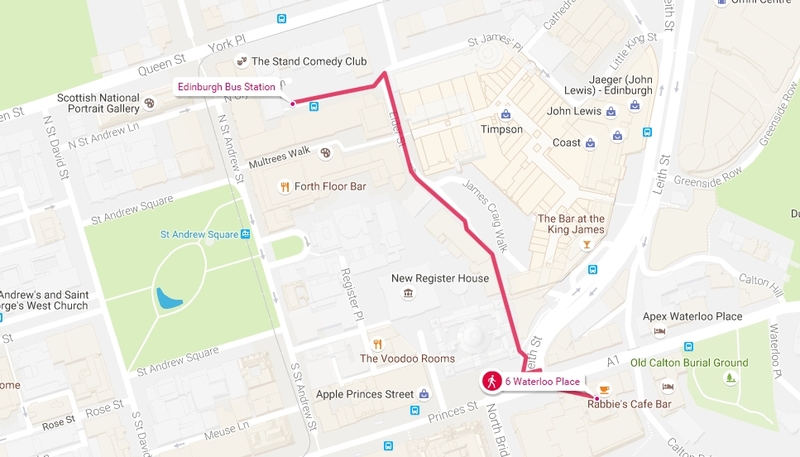 Make your way independently to your pre-booked hotel. Overnight in Edinburgh. 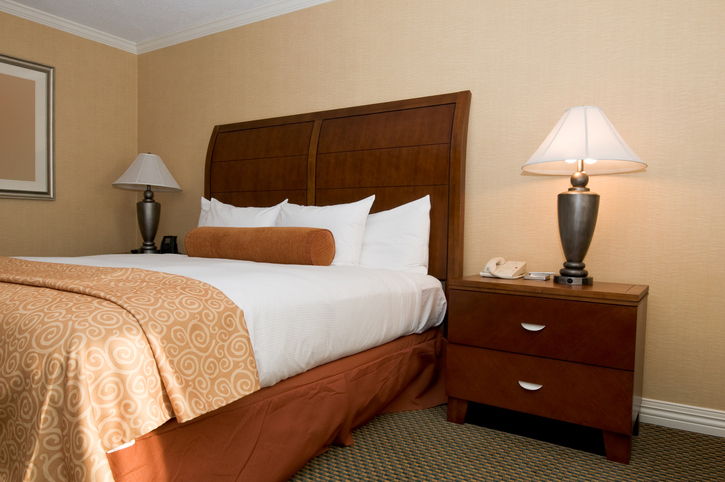 After breakfast, transfer from your hotel to the Airport for your return flight to the US.